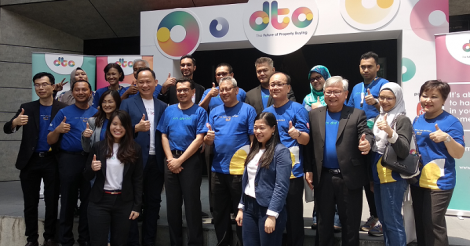 THE old-timers were more than a match for the young ones at the Echelon Malaysia Satellite pitching competition on April 17, organized by Singapore-based regional online media player e27. With a combined industry experience of over 60 years between its two founders, Gridmarkets walked away as the winner of Echelon Malaysia, beating 14 other start-ups. The company and its co-founder Hakim Karim (pic, left with e27 CEO Mohan Belani) will get the chance to pitch to venture capitalists from around the world at the main Echelon in Singapore in June. And in the process, GridMarkets may just prove to Catcha’s Patrick Grove and others that Malaysians can create innovative Internet-based businesses. Grove had already left the room by then, but had left an indelible mark on the start-ups with his 5Ps which underpin the building of a 100-million-dollar company. Perfect market –Grove urged entrepreneurs to look at what is already working well in the United States or Europe and replicating it here, but with strong characteristics unique to the local market. Pivot – He challenged the entrepreneurs to look hard at their business and pivot. “You are out there trying to disrupt big businesses. You need to pivot, almost daily even,” he challenged. The Catcha Group’s vision too has changed almost every year, he shared. It is currently to be the No 1 investor in Internet companies in South-East Asia, but he admitted that this may change come 2014! Persistence – Anything that can happen, will happen to you in a start-up. It is your persistence that will carry you through the dark and into the light beyond. In his early Catcha days, Grove faced lawsuits, key people leaving at the worst time, almost having its advertising account with Google shut down and almost running out of money, but he kept plugging away. Meanwhile one of the highlights of Echelon Malaysia had to be Grove being stumped by a question from Silmyi Sadek (pic, with his wife) of Brand Geeks Inc, who asked for Grove’s opinion on the downfalls of his wife Manisah Sarujee being a co-founder. 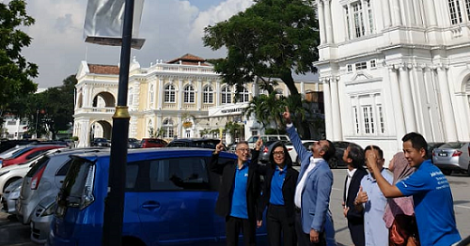 Echelon Malaysia also witnessed the first public presentation by Nic Lim in Malaysia since he re-emerged in the start-up scene in mid-2012 with 8Capita. The co-founder of Catcha with Grove in 1998 is now an investor and shared that he has made investments in 12 start-ups in less than a year. He also urged the entrepreneurs to learn how to share, specifically in aligning the interest of the people around you so that they feel a sense of ownership in what you are building together. Not everyone at Echelon was an entrepreneur. Some were former entrepreneurs during the first wave of the dotcom fever, and they came away impressed. 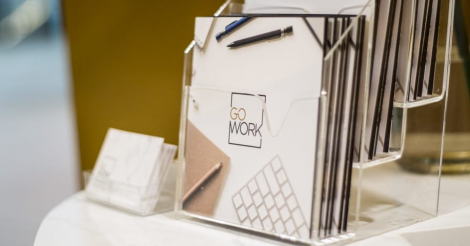 “The speakers at this event were inspiring, truly epitomizing the successful entrepreneur with the compelling combination of phenomenal business successes and a superior capacity for execution,” said Darren Danial Ong, regional sales director at cloud-based strategic human capital management software company SumTotal Systems. “At the heart of their messages, two words – creativity and innovation – sprung to mind and embodied their advice to would-be Malaysian entrepreneurs,” he added. Aside from the insightful advice, interesting and sometimes amusing pitches, Jamaludin Bujang, CEO of Malaysia Venture Capital Management Bhd (Mavcap), felt the investment made to bring Echelon to Malaysia was well worth it. “We will certainly bring it back next year,” he said. Cradle Fund was the other sponsor for the event in Kuala Lumpur. While Mavcap does not play in the start-up investment space, Jamaludin said he values the springboard that an event like Echelon offers to entrepreneurs here to project themselves globally if they make it to the main event in Singapore. 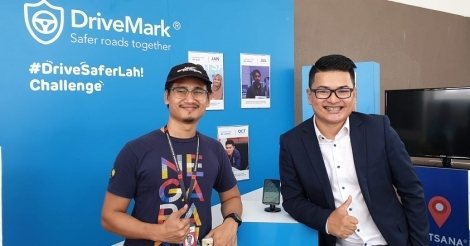 On a personal level, being a judge at the event has given him a close-up look at what technologies Malaysians are working on, besides the opportunity to network with the entrepreneurs. Sivapalan even felt that some companies have the potential to be regional if not global players. No doubt, our start-ups are now turning their eyes to Echelon 2014.